Freak out all who enter your haunted house on Halloween when you decorate with this Zombie Boy Limb Eater Animated Decoration. 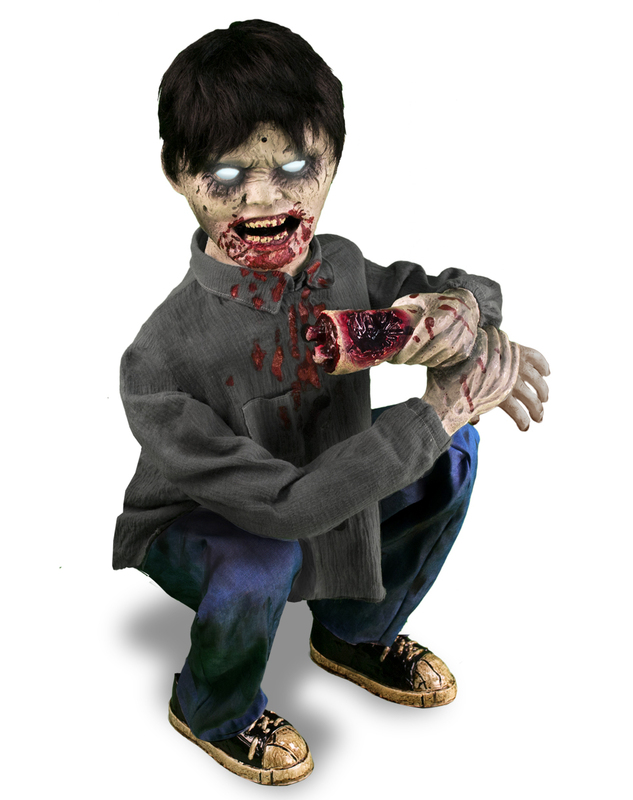 This gruesome animated prop features a hungry zombie boy, in a crouched position, eating a severed arm. Get your very own Zombie Boy Limb Eater Animated Decoration or view more Zombie Halloween Party Props & Decorations right now!